Yesterday, the pharmaceutical giants Pfizer and Allergan announced a merger worth $160 billion. There’s a wrinkle to this deal between the makers of Viagra and Botox: It’s being facilitated by a controversial tax trick known as an inversion, which lets American companies move their headquarters abroad, avoiding the IRS while keeping executives stateside. If it goes through, the Pfizer-Allergan agreement will be the largest tax inversion ever. Hillary Clinton has already criticized the pharma deal and has called for “cracking down on inversions that erode our tax base.” In the past, President Barack Obama has slammed inversions as unpatriotic. His administration and congressional Democrats estimate that tax inversions will result in nearly $20 billion in lost taxes through 2024. 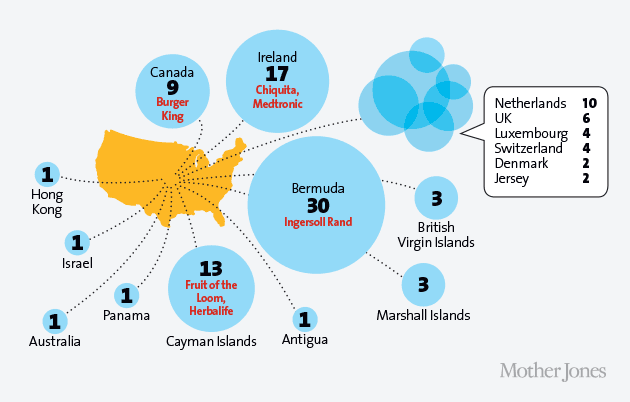 And inversions are just one of many ways US companies stash earnings abroad. 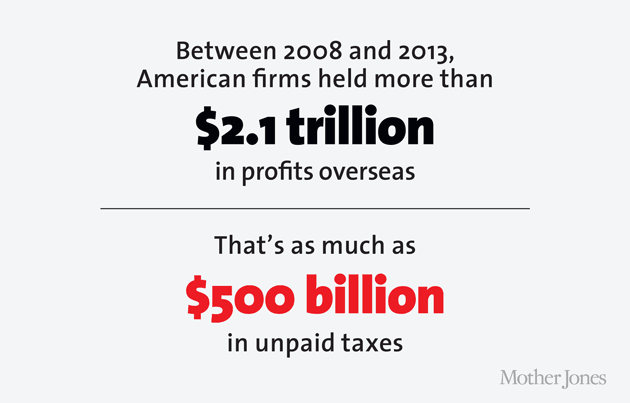 Between 2008 and 2013, American firms had more than $2.1 trillion in profits held overseas — that’s as much as $500 billion in unpaid taxes.